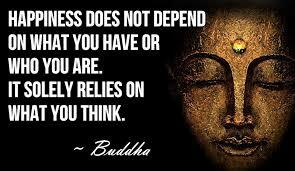 Happiness does not depend on what you have or who you are, it solely relies on what you think. Such a great quote is this and quite inspiring too. No doubt happiness depends on our thinking and it is us that makes our own life miserable with negative thinking.